Siblings with decades of experience in the local restaurant industry are preparing to open their first eatery together at a shopping center in Germantown. Cathy Hsu, Jeffrey Hsu, and Linda Wang expect to open the Asian-cuisine restaurant East Meet West at the end of April. The spot will be located at 7867 Farmington Road in the Farmington Centre shopping center, between Van's Alterations and Jazzercise Fitness Center. “We thought it was the right time to open a restaurant together,” said Cathy Hsu, who will serve as the restaurant's manager. Renovations are underway for the 1,800-square-foot space, which will seat 50 people in the dining area. Donna Cross and Regina Roberson have signed a lease to occupy 1,200-square-feet at 7869 Farmington Boulevard located in Loeb Properties’ Farmington Centre. 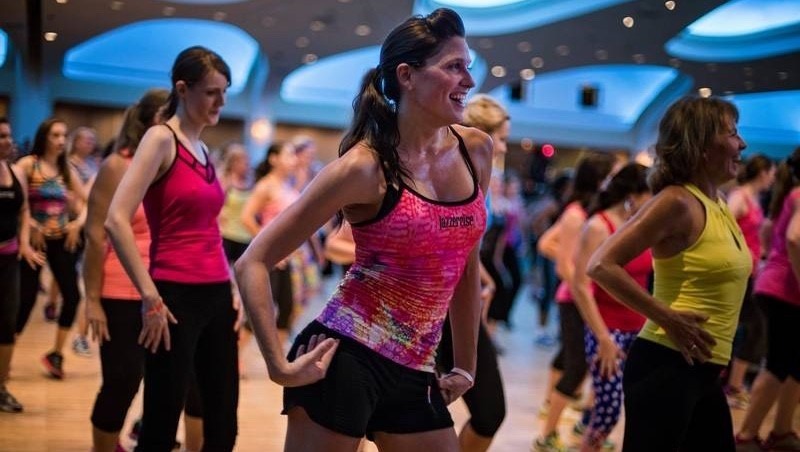 Two local franchise owners are looking to bring West Tennessee its first official Jazzercise center. Donna Cross and Regina Roberson have signed a lease to occupy 1,200 square feet at 7869 Farmington Blvd. in Loeb Properties’ Farmington Centre. Aaron Petree, vice president brokerage for Loeb Properties, represented the landlords. The new space on Farmington Boulevard near Poplar Avenue will offer aerobic exercise and dance fitness, including strike, cardio, and dance mix workouts, as well as interval, strength, and core training. Lafayette's Music Room is planning to expand in Overton Square. The construction will expand the business to 1,300 square feet. They plan to open the expansion mid-February. Loeb Properties, Inc. said Lafayette's Music room will remain open while the expansion is underway. The venue recently upgraded their current location with the addition of indoor/outdoor bar serving two stories of patio space. Belltower Artisans, a pottery studio and coffee shop founded in 2016 by college students Micah Dempsey and Christopher Galbreath, has inked a deal to move into a 2,788-square-foot space in the Highland Strip. Wisam Mansour was visiting Italy, last year when he saw something that surprised him — gelato being sold on a stick. Mansour, owner of Memphis' ZamZamz Mediterranean Grill, loved the idea and decided he needed to bring the concept to the Bluff City. "It’s something new. ... And, it's made fresh daily, from fresh ingredients," Mansour said. By the first week of April, Mansour expects his new shop — which is taking the name "Dipsticle" — to open in Cordova. Mansour's business partner, Maged Hamdalla, traveled to Italy for 12 weeks recently to learn the art of gelato making and to ensure that the shop's gelato will be prepared in an authentic Italian way. All of the businesses' ingredients and equipment will be purchased from Italy, Mansour said, and all of its gelato will be sold on a stick. A trampoline park with locations across the U.S. is adding Cordova to its list. 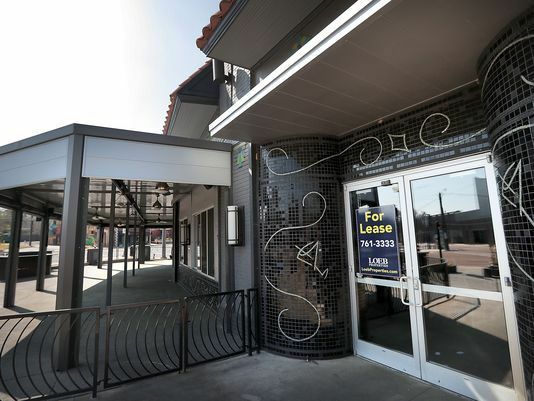 Loeb Properties Inc. announced that Urban Trampoline & Adventure Parksigned a lease for 30,000 square feet of space in the Trinity Commons center at 700 N. Germantown Parkway. The owners of City Market and Quench Wine & Spirits have announced their newest venture – 901 Grille and Market. Hamida and Sunny Mandani opened City Market Downtown on South Main in 2010. City Market was then followed by City Market Midtown on South Cooper Street in 2015 and Quench on South Second Street, near the Peabody Hotel, also in 2015. Now, they plan to launch 901 Grille and Market at 711 East Parkway. Burgerim, an Israel-based fast-casual restaurant chain that specializes in “gourmet” mini-burgers, fries and salads, will open on the Highland Strip in the University District. Construction on the 1,300-square-foot space at 569 S. Highland St. will begin before the end of the year, landlord Loeb Properties announced Thursday, Sept. 15. An Israeli-based chain of restaurants that features small, "gourmet'' hamburgers is coming to the Highland Strip, landlord Loeb Properties announced Thursday. Burgerim will start construction inside 569 South Highland later this year. Loeb Properties is renovating and redeveloping the Highland Strip entertainment district in the University District. According to the Burgerim website, the restaurant uses an "always more than one" approach to serving hamburgers from freshly ground meat. Each is 2.8 ounces, and they come in orders of two of the mini-burgers, three or a "party box'' of 16.